Are you ready to take your workout game to the NEXT LEVEL? Great! 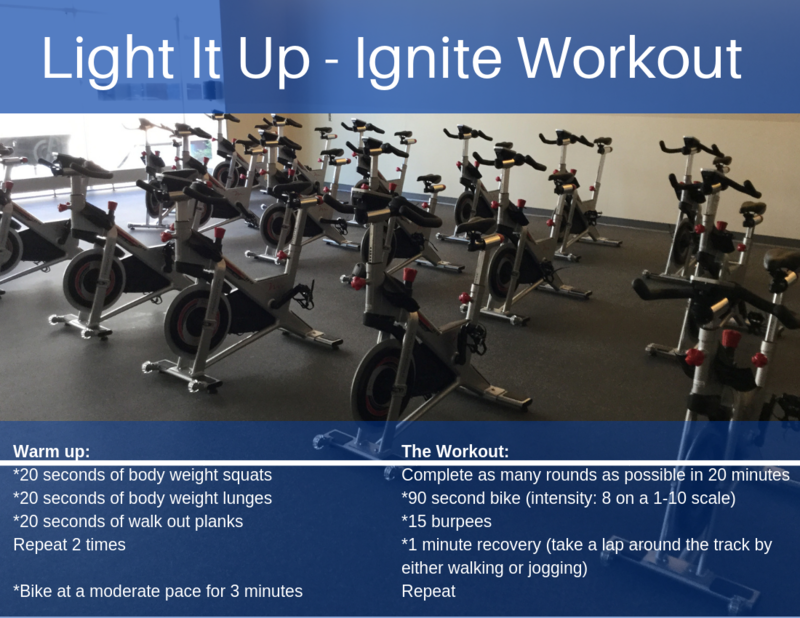 This months workout is a "spin" off from our new class, IGNITE! This workout incorporates the bike and body weight movements to push you to your limit, and give you a taste of what our classes are like if you've been intrigued to try them! Here we go! For more information about our class Ignite, click here!